If you are looking for a classy hotel submerged in different classic shade, then The Saneer Boutique Hotel is the right choice. Just a few minutes away from Durgapura Railway Station, the hotel offers somestyle and comfort at the same time. The hotel rooms are spacious, super clean and cozy. 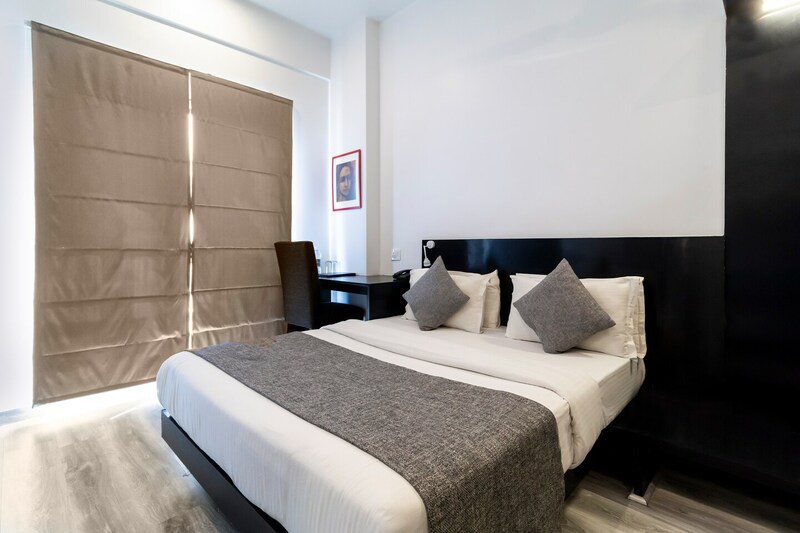 All rooms are well-equipped with basic amenities and ample natural light streaming from the windows. The dark furnishings add a delightful contrast to the space, appealing to the guests. If you want to indulge in a delicious meal, there is an in-house kitchen and restaurant as well. The hotel also has parking facility, conference room, banquet hall, laundry services. You can make payments via card.